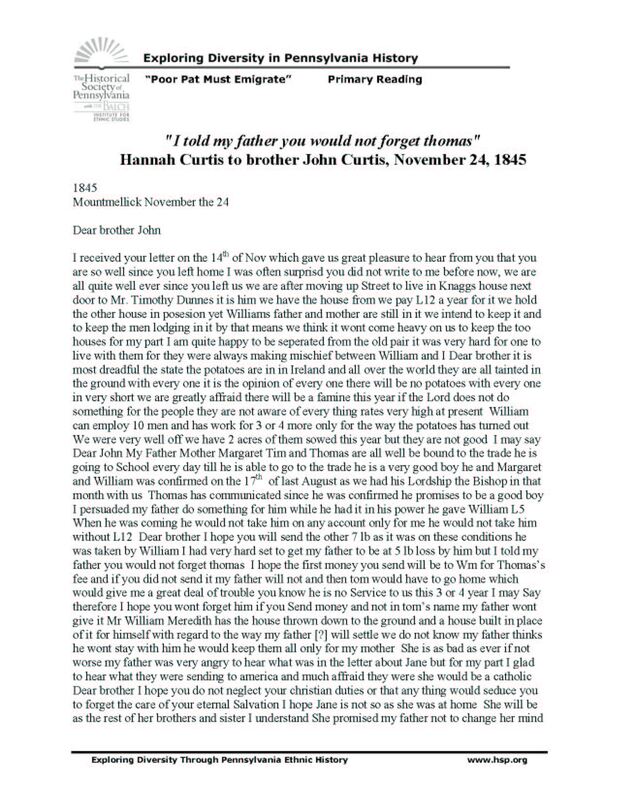 Hannah writes to her brother John with great anger. 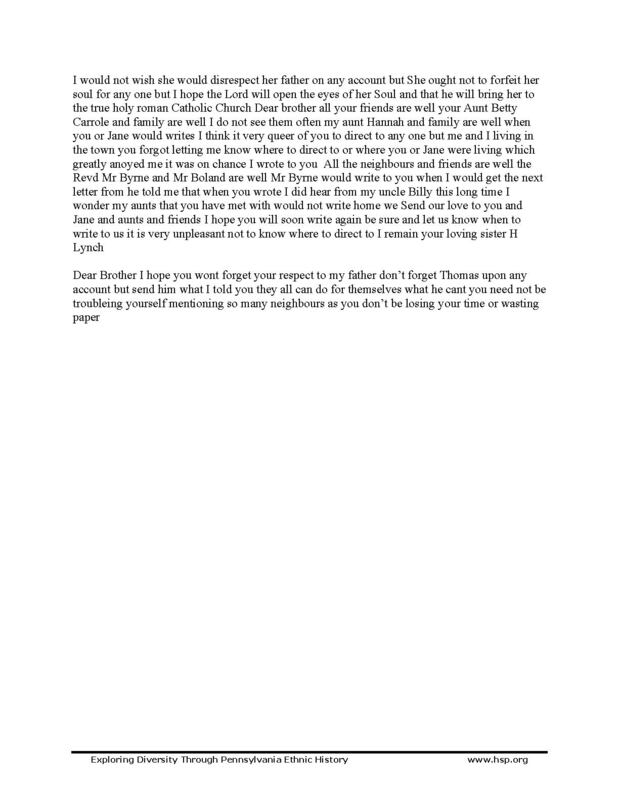 Hannah feels that he, and the other members of her family, has forgotten her now that they are settled in America. She tells of the way in which relatives are sending for their family members’ safe passage to the United States, as well as the declining state of Ireland in terms of labor, famine and disease.